A tiny fishing village on Washington’s Puget Sound is the place where fine stringed instruments and instrumentalists find their essential bow. Violins, violas and cellos mostly get all the attention. They’re the principle instruments in the orchestra; they are played by the most recognized of string musicians (rare exception: Yo-Yo Ma and his cello). When you see a violinist traveling in an airport, the case shape gives away the nature of the contents, but that shape says nothing about the accompanying bow. A bow for all stringed instruments is commonly considered an appendage, a supporting player at best. But that’s to the unaware, untrained, non-musician. 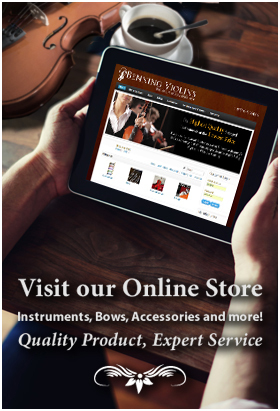 Accomplished violinists, living and gone, the likes of Joshua Bell, Lindsey Stirling, Fritz Kreisler, Giuseppe Tartini, Antonio Vivaldi, Anne-Sophie Mutter, Hilary Hahn, and Leila Josefowicz, know that the bow is as essential as the instrument itself. Which is why the bow makers of Port Townsend, Washington, are so important among contemporary musicians and music lovers. Those bow makers include Kanestrom Bows, a shop run by Norwegian native Ole Kanestrom, who was preceded by Charles Espey and Paul Martin Siefried. A young up-and-comer is Cody Kowalski, who apprenticed under Espey and has already won international medals for his craftsmanship. Siefried learned his craft in his native Los Angeles but moved to Port Townsend in 1991, attracted by the natural seashore environment. 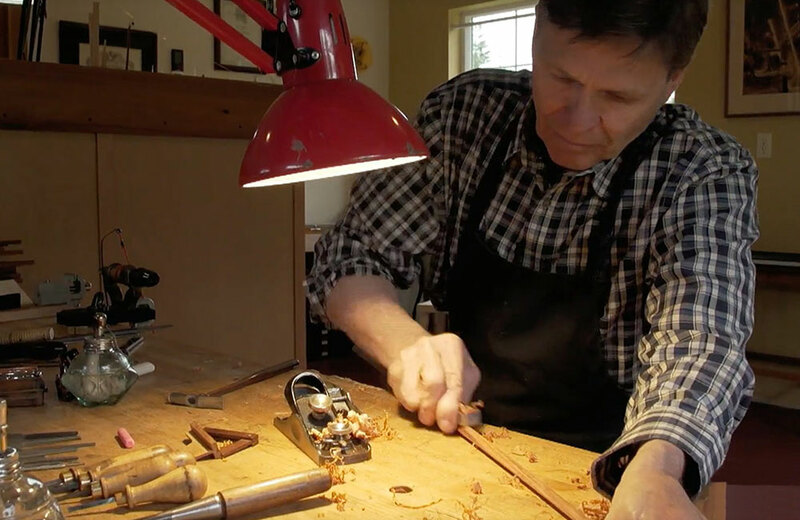 The fine violin bows crafted in Port Townsend might sell for upwards of $10,000, the product of 60 hours of work (give or take). Bows are made of increasingly rare pernambuco, which is sourced from trees that grow only in the coastal forests of Brazil. The laws of economics tell us that the more rare a supply of anything, the higher the price (assuming that thing is of valuable utility, which a bow most certainly is). But those same laws suggest that if something fetches a high price, it will attract other makers who will increase the supply and bring down the price. A price drop is not likely to happen anytime soon. These are not easy to make, they cannot be made of such quality by machines, and the dedication to this craft – as seen in the Port Townsend archetiers (what bow makers are called, the counterpart to violin makers, who are called luthiers). That craft starts with a conversation between archetier and the violin player (cello, viola, and viola da gamba players as well). This is because a bow is very personal, and where one bow might work with the style and artistry of one player it may not for another; a bow that can manage through a bright glissando might be less able to produce the sound expected in a sonorous, low-register passage. Characteristics that matter are balance, feel, and weight. The strings, made of horsehair, matter as well, but those will be replaced many times over the long life of the bow. So why Port Townsend? Bowmakers and violinmakers in Mirecourt established themselves in the northeastern French city as early as 1629 in part due to the guild system of master craftsmen and their apprenticeships. Port Townsend also has its experts – Kanestrom, Espey, Siefried, and Kowalski – who draw both customers and apprentices. In a global supply system of pernambuco, ebony and silver (for the bow’s frog), and horsehair, location is less important than the presence of master teachers. Port Townsend is also an artists’ enclave, which certainly contributes to its place in crafting this essential part of stringed instruments. After all, doesn’t the end result of the artisan’s work, great music, make for a better archetier?